Don’t leave your dog home alone when you’re at work or out running errands, take advantage of our dog daycare services. Remember, a bored dog is a mischievous dog that can lead to destructive behaviors to your home. We offer a state-of-the-art, fully-equipped, and conveniently located facility. Our fully trained team provides daytime care for dogs of all sizes, ages and breeds. What is dog daycare at Dogtown Resort? It’s a place where pet parents can leave their pup during the day. Our team provides each dog with 100% supervised play in our air-conditioned playrooms or the fresh air outside equipped with play structures, misting systems and pools. No matter the weather, it’s always 70 degrees and sunny inside our playrooms. Our team gives each dog the love and attention they deserve. Your pup will play and exercise until you return to pick them up in the evening. Dogs that attend daycare learn valuable socialization lessons that are hard to teach isolated at home or in a training class. We have compressed rubber flooring that was installed with your dog’s comfort in mind. It will not harm their paws and is comfortable to walk on, especially for dogs with hip dysplasia and other joint ailments. Most of all, we just love dogs. Providing your dog with the best care in a clean and safe environment is our passion. We realize that you need to feel safe leaving your dog, whether it’s for a few hours or overnight. That’s why we only hire people who love dogs. We train and certify our team in dog first aid, CPR, dog behaviors and dog body language and care for multiple dogs. Let us work with you to determine the best play schedule for your dog and your budget. Save money with our Daycare passes! Our normal rate is $37 per day, but with these passes you get a discounted daily rate. We also have Half Day/Sunday ($25) and Single Day ($37) passes available for purchase onsite. We ask that you arrive with your dog before 3pm on the day they are to begin boarding. Dogs may be dropped off as early as we open. We recommend bringing your dog’s own food for their stay with us, as an abrupt change in diet may upset their digestion. All dogs are fed twice a day to ensure they are eating well. Play burns a lot of calories, so sometime you may see weight loss. If your dog has any special treats, please bring those as well. We do provide our food for a small fee. You are encouraged to bring any bedding that will make your dog feel “at home” and we will provide it only to them. Please remember we cannot guarantee bedding will be returned in the same condition. Only crate sized bedding will be accepted, No oversized bedding will be accepted. We also have suite accommodations for dogs that need more space, we only allow one dog per suite. As your dog will play in an open area with other dogs, we do not accept toys from home during open play. Dogs may feel possessive of their own toys and some are not suitable for the playroom as they are too easily torn, ripped and be a choking risk. 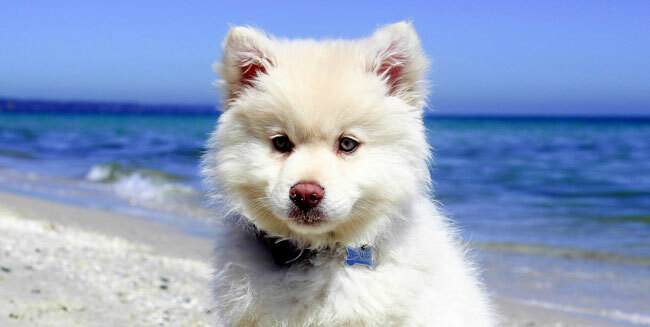 Your dog will spend their hours each day wrestling, pawing, licking, swimming and playing with their furry friends. While Dogtown maintains high standards of cleanliness, they can become a bit “doggie” rolling around. For this reason, we suggest a bath after 4 days of boarding. Guests may also enjoy a groom or other spa treatments prior to pick-up, just let us know. 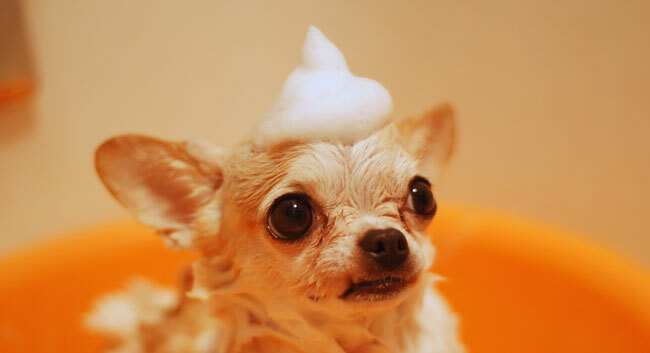 Bath & grooming fees vary depending on the size and coat condition of the dog. Boarding dogs ARE required to attend a daycare visit at least once every 6 months to ensure socialization comfort and acclimation to Dogtown’s familiar smells and surroundings. If not met, we will require a re-evaluation, on the house of course. All boarding includes a full day of open play, evening play and guests are served their own food or ours for an additional fee. 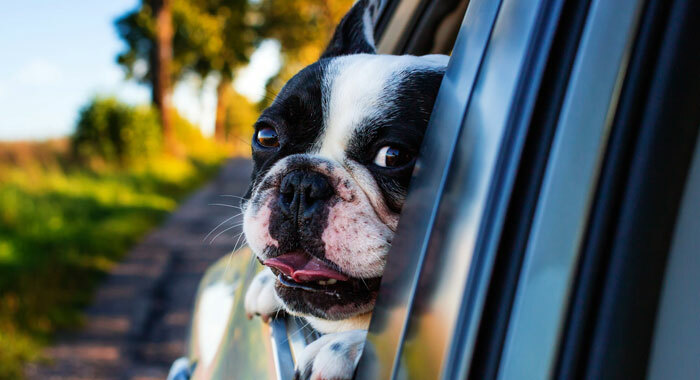 Our goal is to ensure the safety and comfort of your dogs in a stress-free, loving environment while on vacation at dogtown resort. Dogtown’s state-of-the-art grooming salon has all the safe equipment, tools and features to pamper your pooch in a safe and calm setting. You know how enjoyable a day at the spa can be so why not give your dog the same treatment? We offer full grooming and spa services that will leave your dog feeling like a pampered pup. Whether your dog just needs their nails trimmed or a full grooming package, our trained spa attendants will take care of all of your pet’s needs. Grooming services start at $45/hour. Includes brush out, nail trim, ear clean, bath, coat conditioner, drying and finishing mist cologne (on request). Includes Sudsy Bath PLUS cut, style, and gland expression. Includes Sudsy Bath/Pampered Groom PLUS teeth brush and facial scrub. Itchy & Scratchy – Our oatmeal shampoo is perfect for dogs suffering from dry, itchy, irritated skin, dandruff and a lackluster coat. Colloidal Oatmeal to cool and heal irritated skin conditions such as hot spots; Jojoba Oil, Aloe Vera, Vitamins A and E, and other botanical extracts to sooth and moisturize the skin & coat. Bright White – Brings back the shine and luster of white, cream and ultra-cream coats without any harsh bleach. Tearless and pH-balanced that gently cleans, highlights, conditions and enhances the shine of the coat. Black Beauty – Deodorizes and enriches dark coats while helping to eliminate red tones, brassiness, and sun fading. Humectant- and emollient-rich formula enriching the hair and skin with pearlescent brighteners to add highlights and sheen to dark and black coats. Dr Hypo – Tearless & hypoallergenic, perfect for sensitive skin and allergies. Gentle without soap or detergents, but removes odor, dirt and great while leaving a soft conditioned coat and skin. The Deep Clean – The GRIMEinator is the ultimate deep cleaning shampoo that softens skin, conditions coat, contains strong deodorizers. Perfect for dogs that suffer from body odor or breeds that have oily and greasy skin conditions. The Moisturizer – A deep conditioning and moisturizing shampoo that strengthens brittle and overworked hair. Gently moisturizes skin and hair follicles adding volume, shine and luster. Specialty trims from facial trims, sani-cuts, paw and pad trims, clean up trims of coat, tail or ears. Mats can be damaging and painful. Let our professionals handle them gently and safely. FURminator® treatment that stimulates hair follicles and invigorates circulation. Followed by extensive brushing/combing using the FURminator patented tool to extract loose hair and undercoat. Treatment recommended every 4-6 weeks for maximum effect. Fight matting and tangles, rids excess hair and undercoat. Paw treatment of a nail trim, buffing, applied paw conditioner and pad trimming if needed. Keep your dog’s paws conditioned, free from drying out and painful cracking with these frequent treatments. Cleanse, scrub and brighten your dog’s face with this tearless blueberry facial. Perfect to help with those eyes and “grubby mouth” stains, especially to help brighten and whiten dingy, yellowish fur. Kills fleas, ticks and lice with natural ingredients and a fast hydrating mild shampoo, as well as other botanicals. Heals and moisturizes the skin and coat while relieving the itch from flea bites. Applied by Groomer only. Caring for your dog’s hygiene is more than just making them look and smell good. It’s also about keeping them healthy and happy with freshly trimmed nails, cleaned ears and teeth brushing. Trimming your dog’s nails is best left to the dog professionals, us. Our spa attendants will carefully hold your dog still and know just how far to trim. Consistent teeth brushing will eliminate the dreaded “doggy breath” and helps reduce plaque and tartar build up. Dental hygiene is important to your dog’s overall health, as is ear cleaning, which is also offered at Dogtown Resort. Grooming by our caring professionals is available by appointment only. Get more info and book your groom and spa today! Our partnership with Shelley Sloane (CPDT-KA, APDT Professional Member) has been a wonderful collaboration. She has been a dog trainer for 30+ years and offers a wide range of dog training classes at Dogtown including the AKC STAR puppy program, AKC Canine Good Citizen program, AKC Community Canine and other behavior dog training sessions. Only positive reinforcement training methods are used for her dog training services including group classes, individual, private in-home and even phone consultations. Having a predictable, well-mannered and loving dog that you feel comfortable with in any social setting whether it’s kids, other dogs or people is our goal. Sometimes special needs dogs are not comfortable in our group classes and one on one training is better suited. We will assess this during the first group class. Our classes are smaller so you have more one on one training time. Classes are at least an hour plus additional time for Q&A and homework assignments. We have a variety of group classes from puppy to adult classes, obedience, scent, agility or one on one specific training with Shelley onsite or at your home. She also trains therapy dogs! These training classes teach you how to best communicate with your puppy. They also provide an opportunity for your dog to socialize with other dogs. In classes aimed at earning the AKC S.T.A.R. Puppy distinction, you’ll be able to get information on all of your puppy-raising questions including house training, chewing, and the most effective way to teach practical skills such as coming when called. AKC S.T.A.R. 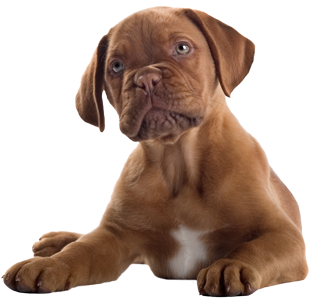 Puppy training is a natural lead in to the AKC Canine Good Citizen classes. In these classes you work with your dog to teach the CGC skills and discover the many benefits and joys of training your dog. Training will enhance the bond between you and your dog. Dogs who have a solid obedience education are a joy to live with as they respond well to household routines, have good manners in the presence of people and other dogs, and they fully enjoy the company of the owner who took the time to provide training, intellectual stimulation, and a high quality life. Get more info and book your dog training today! Dogtown sponsors a monthly low-cost veterinarian clinic at our San Marcos location. Our partnership with Dr. Charlotte Frank and Dr. Andrew Trempe DVM, of Paws4Shots provides premium preventative veterinarian care, experience, expertise and the compassion to provide the VERY BEST care your pup needs at every stage of their life. We look forward to taking care of all of your preventative pet health care needs in the comfort and convenience of Dogtown. * They recommend and carry Merial PureVax adjuvant free vaccines for cats. 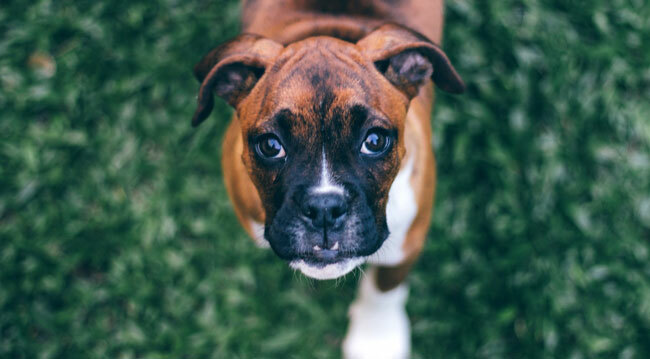 ** Heartworm testing (or proof of a current test) is recommended in any dog over 6 months of age to purchase a heartworm preventative medication and annually for refills. *** Pet MUST be present for initial purchase of any prescription medication and once annually for refills. 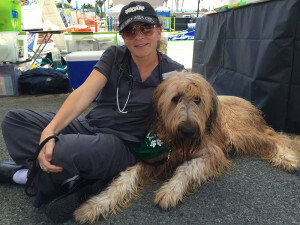 Dr. Charlotte Frank is the owner and Medical Director of Paws 4 Shots and more. Born and raised just outside of London, England her family immigrated to San Diego when she was a child. She graduated University of California, San Diego – Revelle College in 2000 with a BS in Biology. She then attended the School of Veterinary Medicine – University of California, Davis and graduated in 2004. Dr. Frank completed a year-long internship in emergency, surgery, and internal medicine at VCA Emergency Animal Hospital and Referral Center in San Diego. Dr. Frank has worked in both emergency medicine and general practice. She also worked for Vetco at Petco’s vaccination clinics for a number of years before developing Paws 4 Shots and more. You will find Dr. Frank alongside her terrific team members at the majority of vaccination clinics and dog events that we attend. She believes that “shot clinics” can still offer clients A+ care in a low-cost setting and strives to make Paws 4 Shots and more your one stop for preventative care. Charlotte is married to a veterinarian and has three little girls. She lives in Murrieta with her family, which includes Hannah, an elderly Pit Bull/Chow mix, DeeDee, a golden Retriever with a multitude of health problems, Zoe the wonder cat (14 years old and fighting cancer like a champ), Wally AKA Goblin the not so wonder cat, and two guinea pigs, Flower and Jewelry (named by the kids, of course!). When she isn’t working to make Paws 4 Shots and more THE BEST low-cost vaccination clinic in Southern California, she enjoys spending time with her family (especially day trips to Disneyland), great food and even better wine, exercise, and most importantly, vacations with her husband and girls! Dr. Andrew Trempe graduated from Whittier College in 1998 with a BA in Biology. He then attended the School of Veterinary Medicine – University of California, Davis and graduated in 2002. Dr. Trempe completed an internship in emergency, surgery and internal medicine at VCA Emergency Animal Hospital and Referral Center in San Diego where he has worked as an attending emergency/critical care clinician ever since. Dr. Trempe has also worked for Vetco at Petco’s vaccination clinics for a number of years. Dr. Trempe enjoys the “change of pace” Paws 4 Shots and more gives him from life as an ER/critical care veterinarian. Dr. Trempe is married with three little girls and a house full of animals (mostly all female!). When he isn’t saving lives at the VCA Emergency Animal Hospital and Referral Center, he enjoys spending time with his little girls, watching sports and dominating in his fantasy leagues, craft beer, and vacations with his family. Dr. Trempe is also an avid runner. He competed in cross country in both high school and college and has completed a number of half marathons. Walk ins are welcome, but it’s best to reserve an appointment. Ensure the health, wellness and safety of your pups, call or email us for your reservation today. Next Vaccination and Vet Clinic is Tuesday, April 23, 2019 from 4:00 – 7:00. Visit our News & Events blog for info on the next clinic!